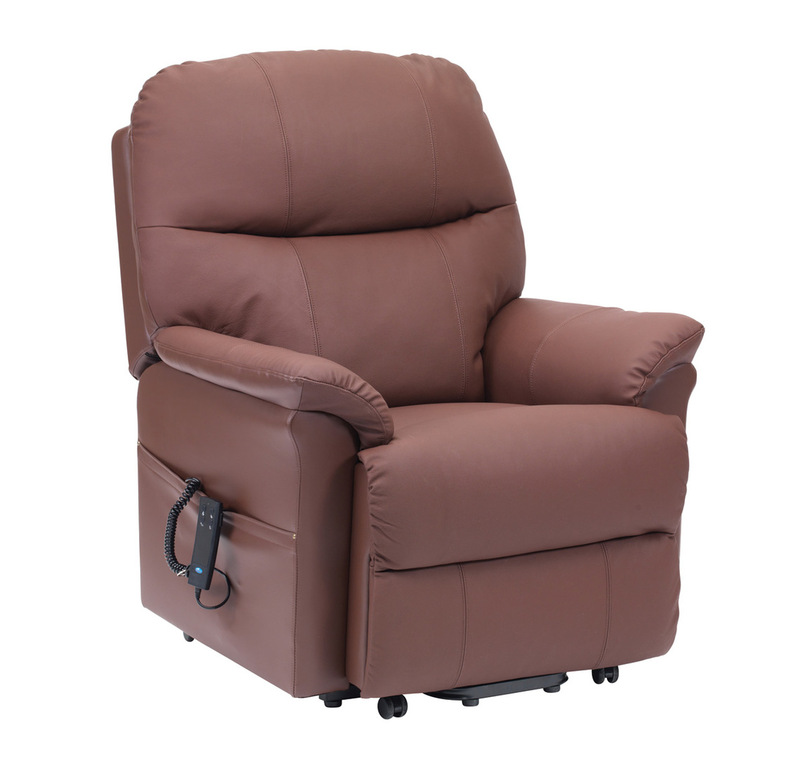 The Restwell Lars Leather Electric Riser Recliner Chair features a distinct lift, rest and recline action including an excellent full snooze position. The Lars Electric Riser Recliner Chair is upholstered in luxurious leather and displays all the quality associated with the Restwell brand at an excellent price! The Lars features a distinct lift, rest and recline action including an excellent full snooze position. You can put your feet up and relax in this Restwell Lars Rise & Recline Armchair and with the simple touch of a button it will gently lift you into a standing position. This chair has a stylish design and is available in four colours: - Black, Burgundy, Brown & Cream. PLEASE NOTE : If you choose the Delivery Only option the chair will be delivered in two parts and will require two people to assemble. We highly recommend the Delivery & Installation option as the weight of the chair means that it has to be delivered in two sections for safe transportation. We use a specialist company (Healthcare Distribution Direct) to install the chair and demonstrate how it works and also take away all packaging. This option will normally take 1 - 2 weeks and you will be contacted to arrange a suitable installation date. The Delivery Only option is only suitable for those people who can arrange for someone to assist in carrying the chair to the desired room as the delivery driver will only take up to the threshold. We can normally arrange delivery within 2-3 working days assuming there is stock.